The Starbus- The all new range of Starbus BS IV buses from Tata Motors are a bestseller on Indian roads and just ideal for intra-city commute. These buses are most preferred as staff and contract carriage, Moffusil transport, city transport and come in a number of variants including Deluxe and Luxury. 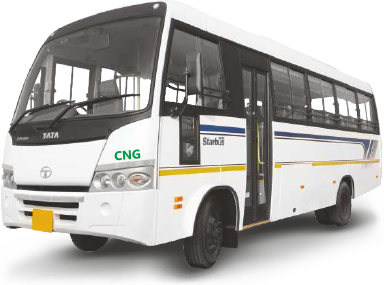 The buses are available in both Diesel and CNG fuel options.